harlotry controlled the direction of the beast. been functionally a part of the arrangement. In Verse 8 we are introduced to a BEAST, which we were told we “saw” earlier. of above in Verse 3.
which it CLEARLY STATES “IS” (in existence). 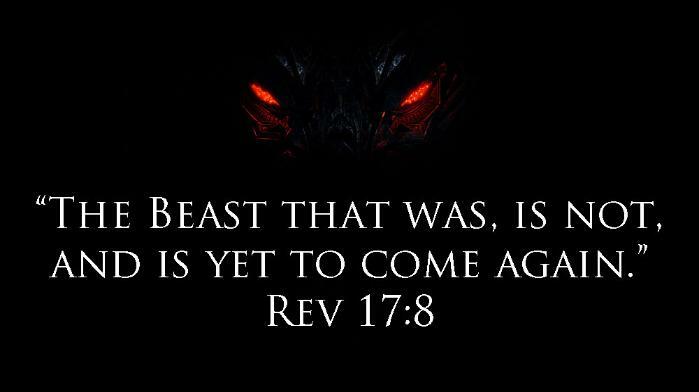 THEREFORE: This beast IS (Verse 10) and IS NOT (Verse 8) AT THE SAME TIME! beast we are looking for should be found DURING THAT TIME. 5th head, which DID work with Papacy. beast WAS (but not for long) during the French Revolution. It WAS during the “wilderness” period. of the city (the remainder of Babylon, Christendom, Europe in this case). Point # 3: The PARTIAL beast is a “king,” but NOT a new head. mountains) were in the past. It says the SAME THING about the kings — FIVE are past. Why does the symbology change from “heads” in Verses 3 and 9 to “kings” in Verse 10? THE ANSWER: It changes because the beast ONLY HAS SEVEN HEADS — never any more! the seven (kings or heads)” which the beast had in the past. on or control this beast (body of people) any more than she controlled the French Republic.